Warren Buffett and I were neighbors. He lived in his famously modest house on Farnam. I lived in a $535-a-month 1-bedroom, in a basement with moldy carpet, several blocks down, on 49th. I never met Warren, but I did peek through his hedges. You would have done the same thing. His house was just the right distance from mine to be a good place for a walking break in the middle of a short jog. I don’t remember seeing anything interesting through the hedges. Not Warren. Not even his gardener. But the presence of that house made me curious. I wanted to learn more about him. The more I learned, the more he inspired me to choose myself. Live where you can thrive. Warren could have chosen to do business on Wall Street—the center of the financial world. Instead, he stayed where he was comfortable—in his hometown of Omaha, Nebraska. I didn’t want to stay in Omaha, but when I left Silicon Valley, and eventually left the United States, Warren’s example was in the back of my mind. If everyone lives in a certain place — that’s a good reason to stay away. Go where you’re comfortable. Find hidden opportunities. As James Altucher explained on my podcast, Warren didn’t limit himself to companies that were easy to invest in. He’d put up flyers in a town to find people who would sell stock in one of the local corporations. Then, he’d wait in his hotel room for a call. This example has been in the back of my mind as I’ve pieced together a business online for the past 12 years. There are always new opportunities emerging. They’re not where everyone else is looking. Do it yourself. Warren always kept a tiny team. Sure, the companies within Berkshire Hathaway employ over 300,000 people, but the corporation itself, just a handful. Warren personally did the company’s taxes himself for the longest time. He may still do them. This has given me the confidence to intentionally not scale my company. It’s okay not to hire a bunch of people. It just makes things complicated. Be obsessive. Warren has always been obsessive about money and investing. He bought his first stocks at 11. If you’re intensely curious about something, you can work harder at it than anyone. It will lead you places nobody else can go. This gave me the courage to follow all of my disparate interests until they led to my first book. Embrace your obsessions and follow your curiosity. Follow your principles. Warren Buffett is a very principled person. He follows principles in investing, and he follows ethical principles, even when everyone around him is cheating. He followed his principles in pledging to give away his money to charity. Figure out what your principles are, and follow them—even when it doesn’t seem convenient or gainful. Be a creature of habit. Warren keeps the same patterns. He drinks the same soda, eats at the same restaurants over and over, and plays bridge with the same friends—like Bill Gates. When you keep habits, you have more energy leftover for making decisions on what matters. Don’t let the paradox of choice drain your mental reserves. Be in it for the long haul. It’s tempting to want to get rich quick, then spend the rest of your days on a beach. But if you love to do something, why not make a life out of it? Warren is 86 years old, and still working hard. If I live that long, I’ll be doing the same. Quit hoping for a payoff. Satisfying work is the payoff. I’ll never be a billionaire. I don’t want to be one of the richest people in the world, and you probably don’t either. 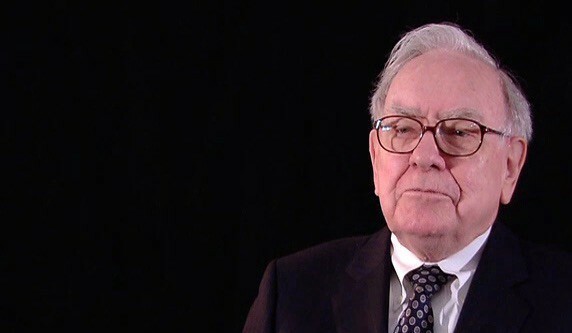 That doesn’t mean you can’t learn from a once-in-a-generation figure like Warren Buffett. You’ll find all sorts of lessons if you look closely. But not through his hedges—there’s nothing to see there.